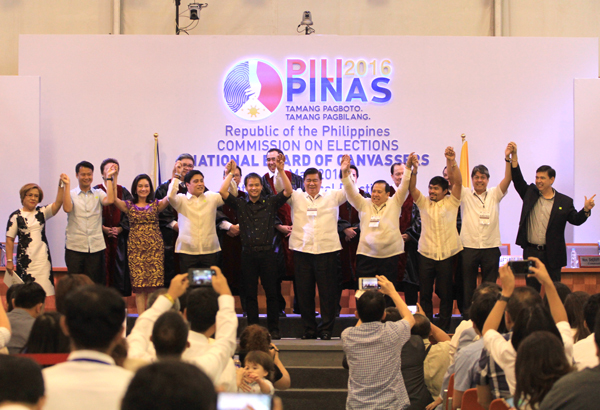 MANILA, Philippines- On Thursday, May 19, the Commission on Elections (Comelec), which serves as the country’s National Board of Canvassers (NBOC), has proclaimed the 12 elected senators and 46 winning party-lists at the Philippine International Convention Center. Based on the final tally of votes of the Comelec, here are the 12 winning senators. Independent candidate Francis Tolentino, who is currently on the 13th place of the race, earlier asked the Supreme Court to prevent Comelec from proclaiming the winners in the 10th to 12th senatorial slots. However, the poll body proceeded with the proclamation since the difference between the number of votes amassed by the 12th and 13th senatorial candidates is 1,332,972. The Comelec is yet to receive 1,211 votes. Tolentino believes that the results of the elections were affected after Smartmatic made some changes on the script of the transparency server of the poll body on election day.